When selecting drinking water projects today, funds are usually allocated depending on their impact measured in increased coverage. This approach is however misleading, since rather than the increased coverage at a given time, the increased coverage multiplied with operational years should determine how funds are spent. The concept of allocating funds by Water-Person-Years allows for an assessment which incorporates the operational time frame of a project. 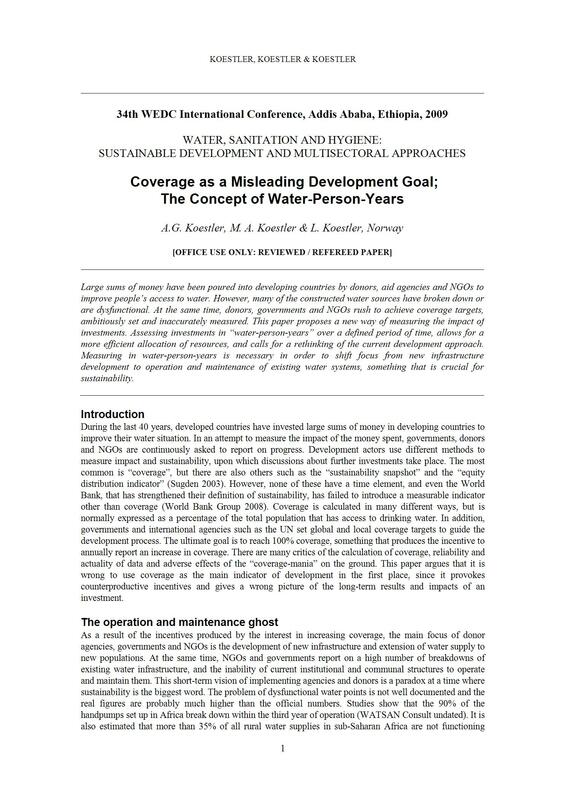 The logic result of Water-Person-Years calculations is that it becomes clear that more of the donated funds have to be spent on operation and maintenance in order to increase the efficiency of development aid.